In case you missed this Streetsblog scoop yesterday... the Streetsbloggers got a draft MTA memo that reveals some of the potential pain behind Gov. Cuomo's miracle L-train cure. Overnight, there will be 20-minute gaps in train service (like on weekends) .. plus! 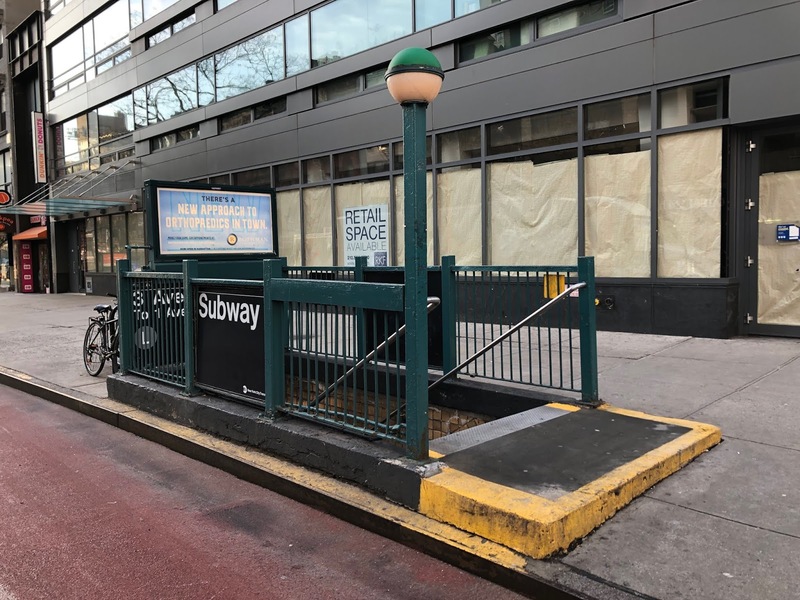 • "There will be the aforementioned need for 'metering' at L platforms at Union Square, Third Avenue, First Avenue and Bedford Avenue. If the monitoring of station crowds reveals a danger, the MTA would temporarily restrict access to the platforms." MTA officials weren't pleased by the leak. You can read the full Streetsblog post here. In retrospect the original shutdown plan seems quite well thought out and sensible. Now I am afraid that Cuomo's cannabis legalization will produce a similar response: can we please just go back to the original plan? It's a bit of an inconvenience but not the end of the world. All you have to do is budget an extra 10-15 minutes on your way to brooklyn to leave from union square. Stil far better than a full shutdown. All the crowds from three busy stations, plus fewer trains, all packing onto one platform at Union Square? What could possibly go wrong? No problem, given that EVERYONE will be riding a bike! We don't need any subways at all; the MTA should rip out the subway tracks and make every mile of it into underground protected bike lanes. And it should be free to all, b/c there will be no equipment to maintain: no signals, no wiring, no metrocard machines. Just pure bliss on 2 wheels for all. So when the first bike crashes in the tunnel, and everyone following smashes into them, how will the ambulance get the victims out ? Here’s a better idea: just let all the subway tunnels flood with water and offer manned gondola rides tor all the lazy non-rowers, and rent unmanned canoes to anyone who wants a little workout during their daily commute. It will be like an underground version of Venice, quickly becoming tourist bonanza. Think of how much quieter that commuting will be with thousands of little boats paddling along underground. The MTA can also turn all of the elevated lines into giant Coney Island style Floom water rides, complete with whitewater rapids challenges and super fun splash zones for the kids. Problem solved! You’re welcome. @Giovanni - That will work until the gondoliers start to sing, and then the racket will make the subway sound like a gentle breeze by comparison. Actually, making bike riding safe and comfortable for all in the city would be a big help on this situation! Most don't people don't cycle here because they're afraid of cars and trucks, because we're at mercy of cars (mis-guided infrastructure and law enforcement).